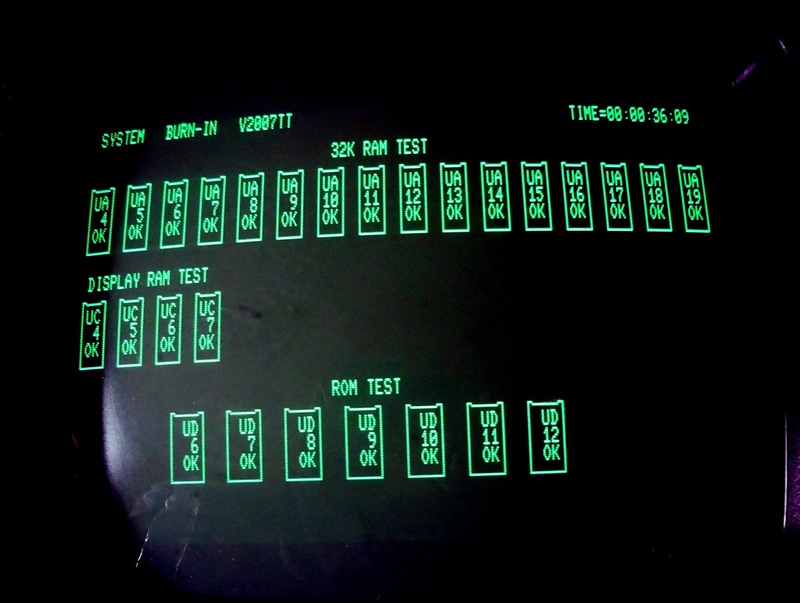 The Commodore PET 8096 and 8096-SK were unusual machines. 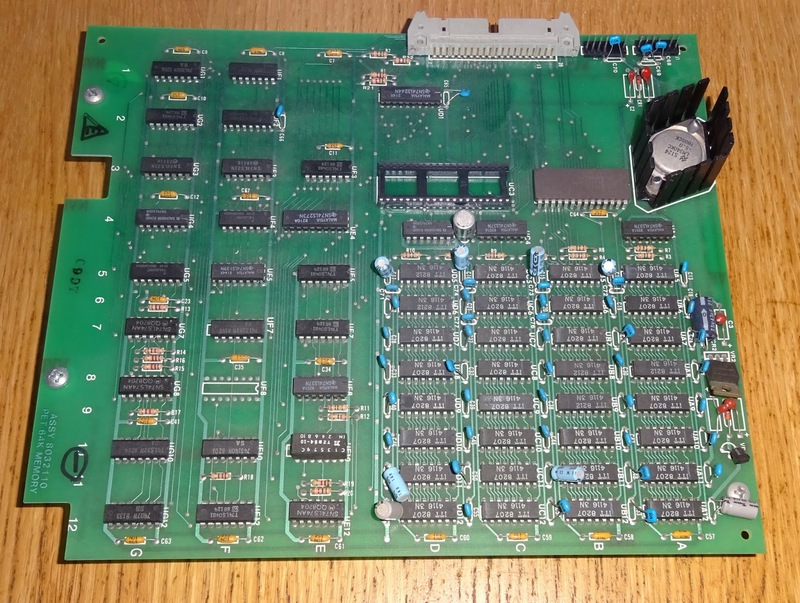 They were basically standard 8032 or 8032-SK machines with an add on 64K RAM board. 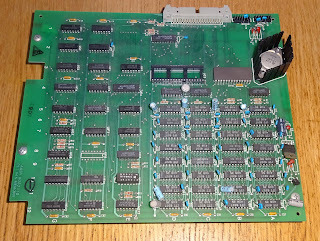 With the 64K RAM board removed, you have a standard 8032 board. 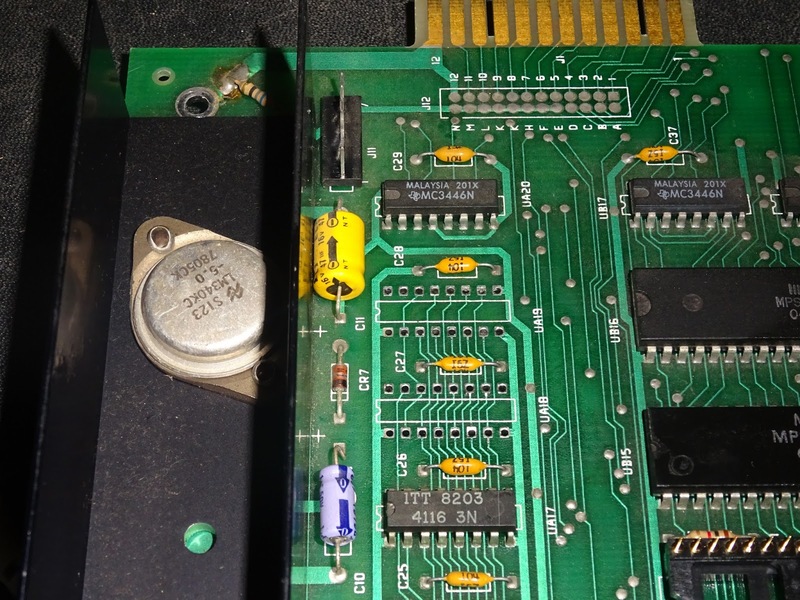 The one in question here has a memory fault, and was previously only showing 16K. It has now stopped showing anything. and is now just showing a blank screen and no boot up chirp. 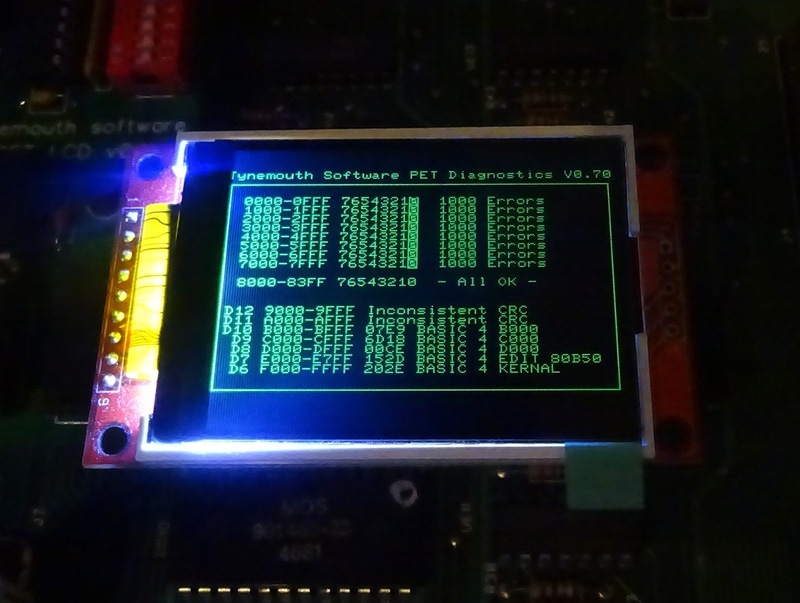 A quick test with my prototype PET LCD diagnostics board (more on that in a later blog post), shows the problem is bit 0 in both banks has completely failed. 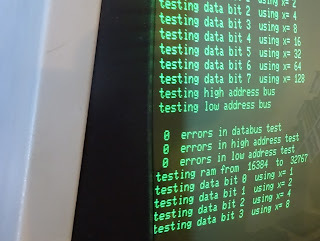 Since it is the same bit on both banks, it could point to an external problem with a ROM of data bus buffer pulling the D0 line up or down. 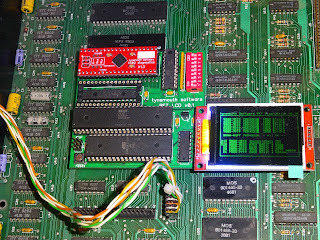 I checked that by enabling the RAM replacement and the system ran fine with the RAM replaced and the oboard ROMs, so the problem does appear to be both D0 RAM chips. It is possible one failed a while ago and has damaged the other, causing that to fail also as they are effectively in parallel. 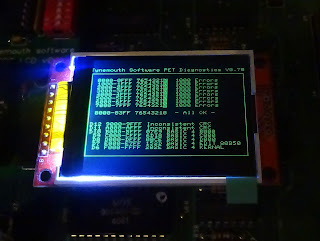 This particular era of PET boards can be frustrating to work on. 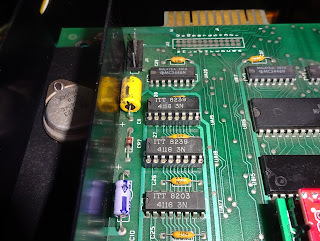 The pins on the back are cut very short, so it's not as easy as it normally is to desolder the chips, even with a decent vacuum desoldering station. 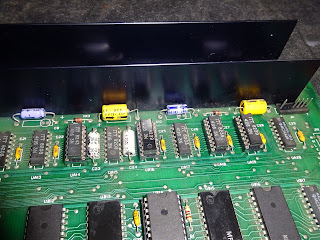 The RAM in particular has all the tracks going between chips on the top of the board, so it is very easy to lift a pad a break the circuit when removing these. After the first one, which took a few goes to get it clear I switched to cutting the legs of the chips and removing them separately. I don't often do this, as it is good to be able to test the chip that has been removed to ensure it's bad, but it comes down to which is more important, preserving the chip or avoiding damaging the board. 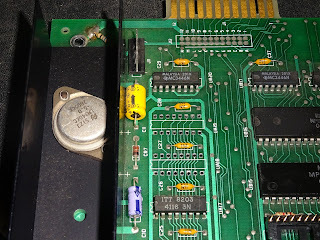 With those replaced, time to retest and all RAM passed. 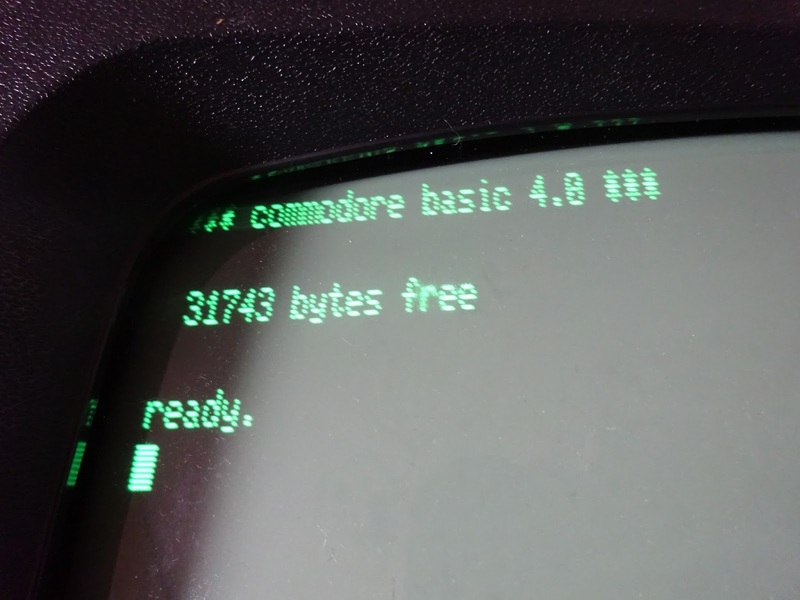 Great, 31743 bytes free. Back into the box and return to the customer. Job done. Well, no. When I tried to load programs, I was getting unusual errors. I asked it to load 80xxtest, and it says it is searching for 84xxteqt? 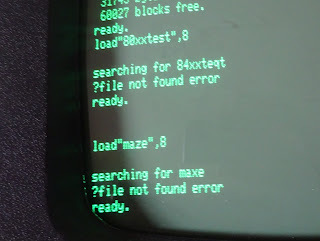 maze leads to a search for maxe? I managed to load some programs by renaming them to a single letter, and ran some more tests. 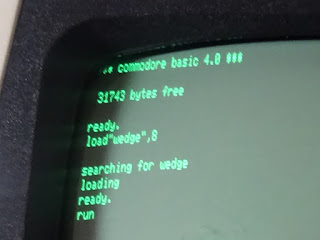 Most of the test programs I ran passed, so I was starting to think it might be something up with the IEEE-488 hardware, but I when I tried with a ROM/RAM board installed replacing the lower RAM, it had loaded fine and not shown any of those file name mangling problems. This is why it is sometimes good to stop and walk away from a job for a while and think things through. I could have ripped out and replaced all the IEEE-488 chips in an attempt to get this working, when in fact it was fine. 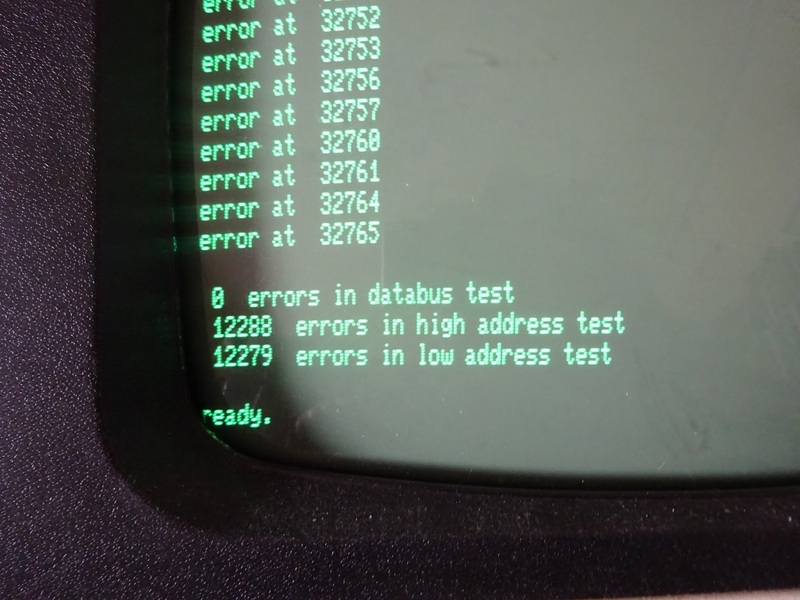 I have an old BASIC RAM test program I use as a bit of a burn in test as it takes a while to run, and repeats the RAM test in a few different ways. 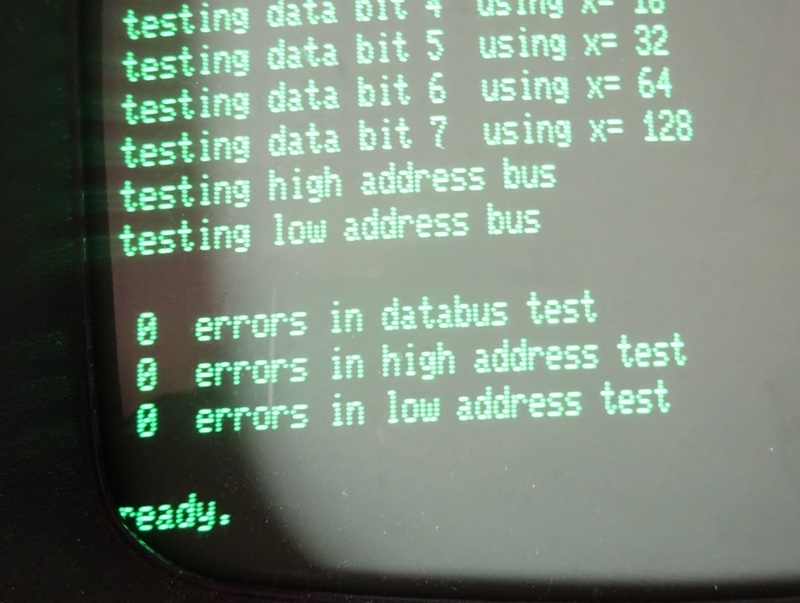 This passed all of the lower bank tests, and the initial tests on the upper bank data bus, but failed about 75% of the RAM on address bus tests. What is going on here is simple tests just write the same value into each address of the RAM and then read back and check if each ones matches. This is fine in many cases, but doesn't test if you write 42 to address 12, does it appear at address 12? it could have been written to address 13, and vice versa, but the simple data test would pass either way. 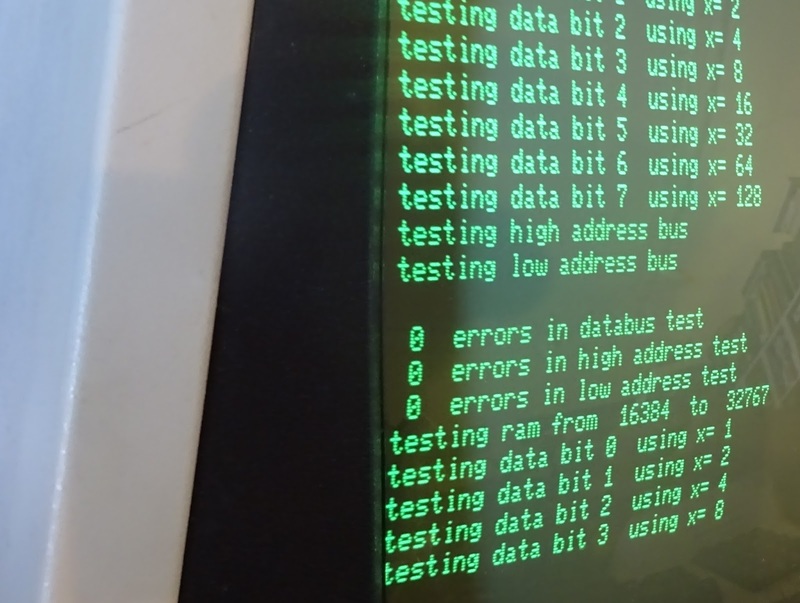 The address bus tests white different values into each address, 0 into address 0, 1 into address 1, and so on cycling 0-255. 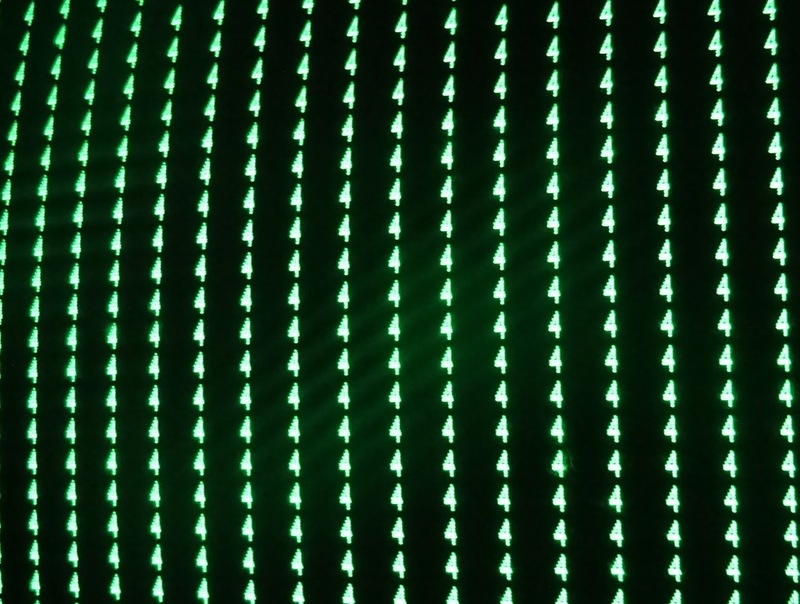 Looking at those last few errors, out of 16 addresses from 7FF0 to 7FFF, 8 failed, all the ones with bit 1 low. All the addresses with bit 1 high passed. This pointed towards D1 being at fault. Here again, step back and think it through. 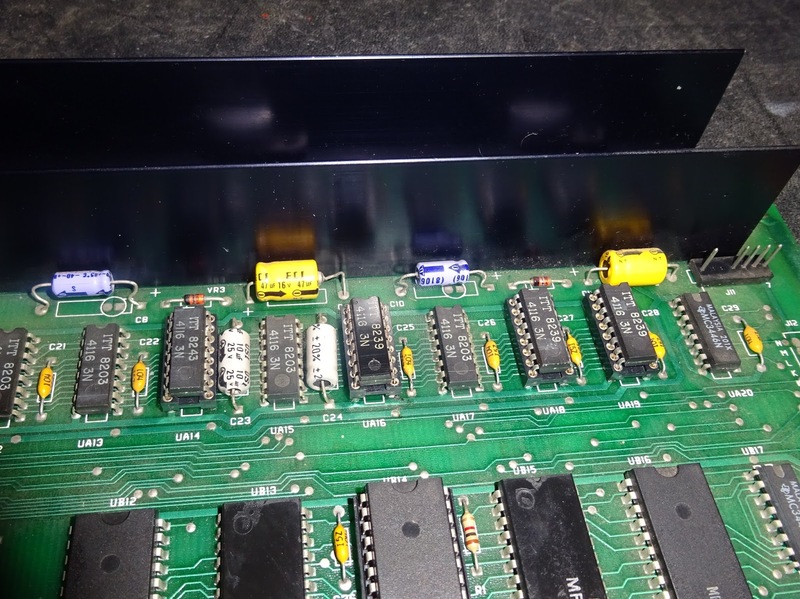 I could rip out the address buffers and multiplexors which work on D1, but this is only affecting the upper RAM bank, the lower one was fine. 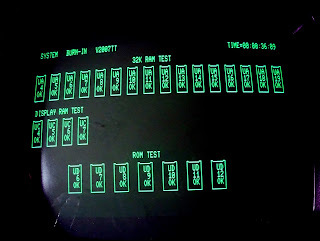 Only the RAM chips themselves are split between banks, all the rest is ruled out as the lower bank is working fine. 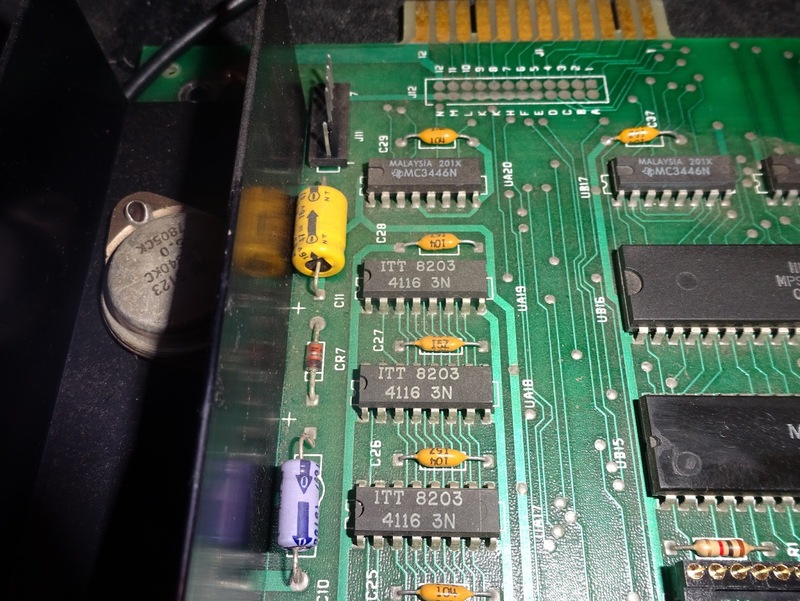 Removing the D0 chip from the upper bank turned this into a 16K machine, and that worked fine, so the problem is pointly sqarely to the D1 chip in the upper RAM bank. 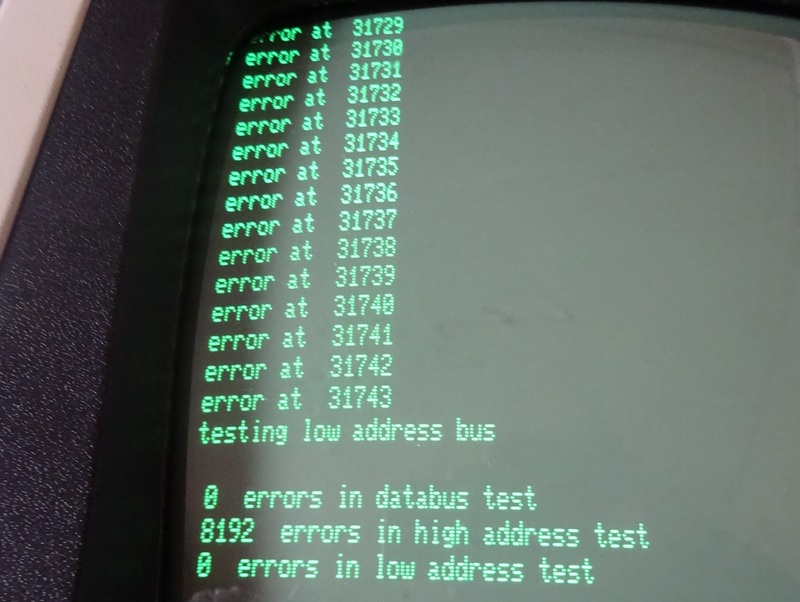 With the D1 RAM chip in the upper bank replaced, the error count was reduced to 50% of the upper bank, and now only in the high bits of the address bus (i.e. 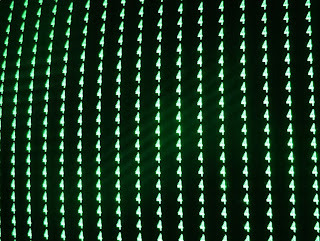 write 0 to addresses 0-255, 1 to addresses 256-511, and so on). Picking a few more addresses out that had failed, they all had 0 at bit 10, or bit 2 of the upper address. These errors pointed to D2, all the addresses which failed had D2 as 0, all the ones with D2 as 1 passed. 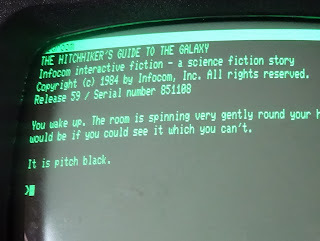 Rather than work all those out, I thought I had a computer here, so why not use it. 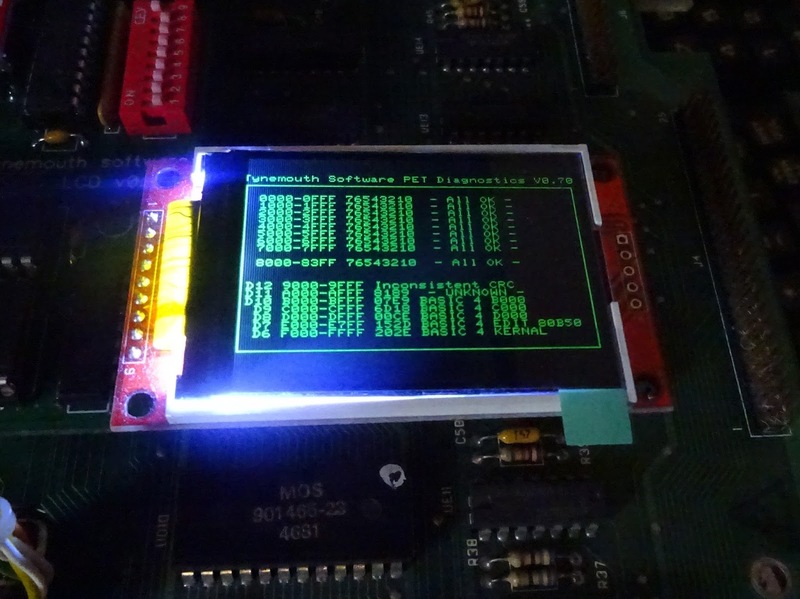 I modified the program to print up the difference between the value it read and the value it expected to read. 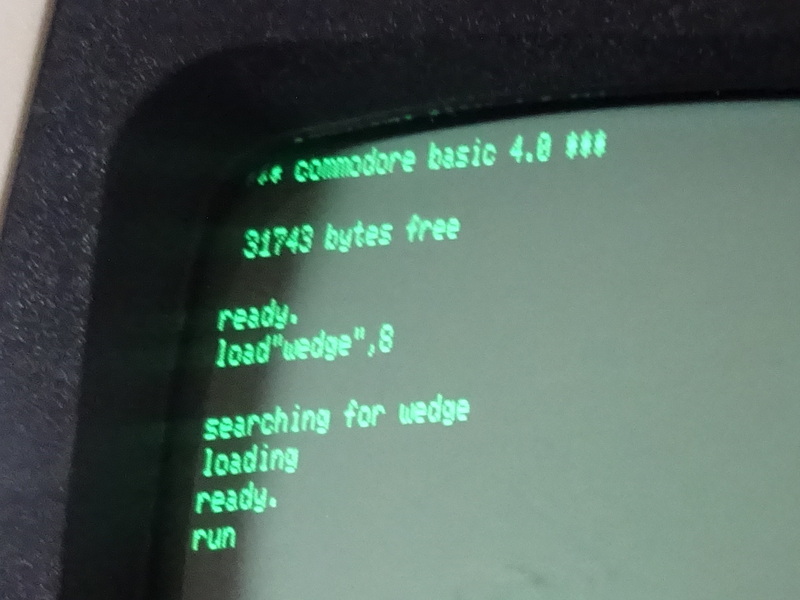 Yes, that's fairly clear, the value of 4 indicates bit D2 is faulty (wrote 254, read 250 etc.). If I had tried this previously, it would have shown a mixture of 2 and 4 (and maybe 6). 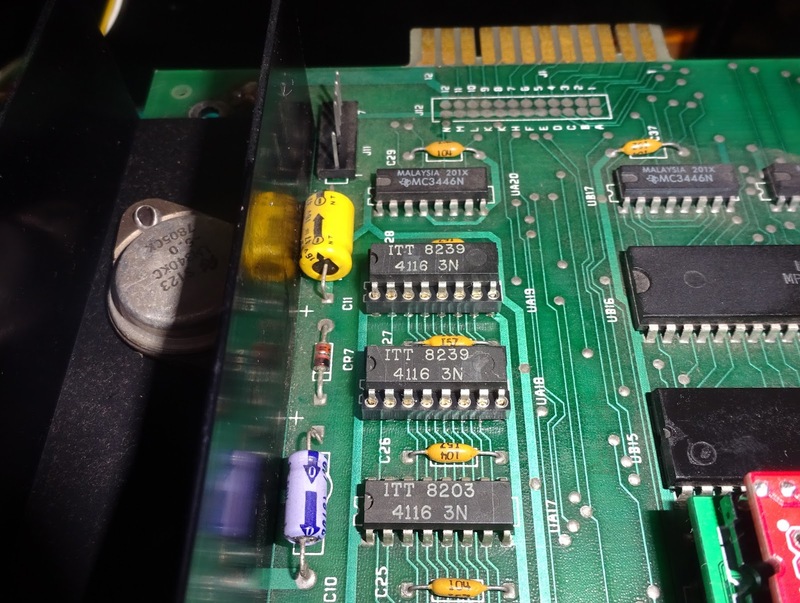 Here it would have been interesting to check that, but again I had resorted to cutting chip legs to reduce the chance of damaging the board. 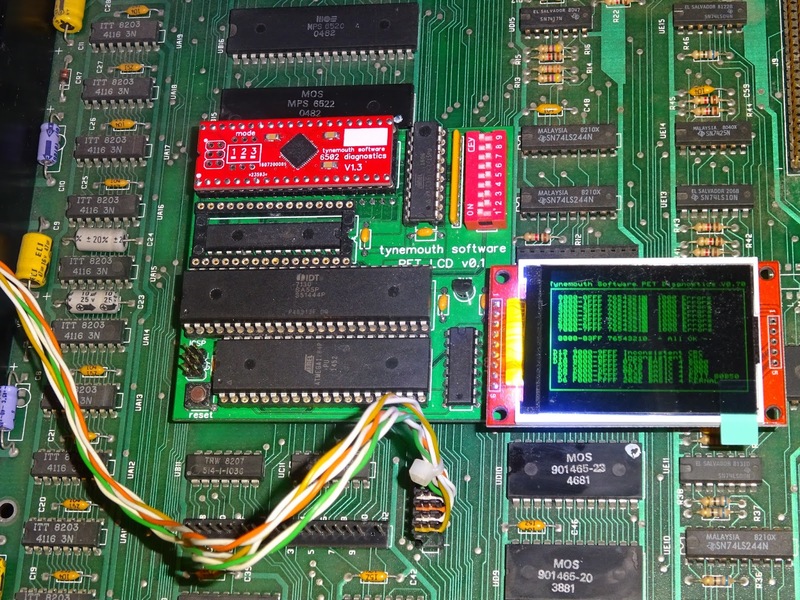 One more RAM chip replaced and those tests now all passed. 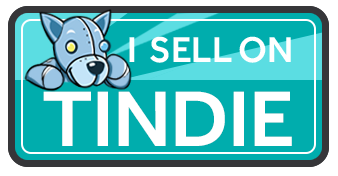 Files were now loading properly and no other issues were found after a long soak test and multiple runs of various test programs. Quite an unusual fault that one, but all sorted and back with it's owner. 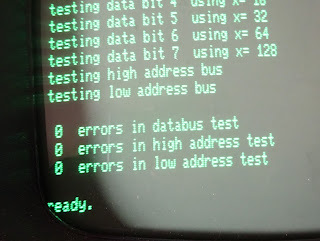 I'll be adding address bus testing to the next version of my PET diagnostics boards. Meanwhile, more testing.